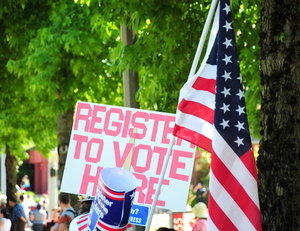 ​You can register to vote at any time. The deadline to register to vote for an upcoming election is 29 days before the election. For the registration deadlines for the current election cycle are see Important Dates. Your county's website has an online registration form and instructions for submitting it to your county's Supervisor of Elections. If you are a student in college in Florida, you can find out the requirements for registering to vote by going to Student Voting Guide. The Brennan Center released the 2012 50-state Student Voting Guide, an online resource to help students and advocates understand the diverse patchwork of state laws governing student voters. This interactive guide explains the basic residency, registration, identification, and absentee voting requirements in all 50 states and Washington, D.C. Many students who leave home to attend college are often misinformed about where they are eligible to vote. This guide seeks to remedy this confusion and make sure every student can cast a ballot that counts. The League of Women Voters of Florida has FAQs addressing some of the unique situations faced by college students wanting to vote. For further information, see Florida's Division of Elections 2016 FAQ containing detailed information about Florida's voter registration and other questions regarding voting. The Florida League of Women Voters has published statements from candidates running for U.S. Senate. 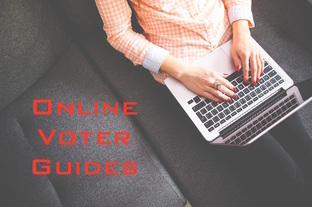 Check out our Voter Guides for races specific to Lake, Marion, and Sumter Counties. NOTE: Amendment 4 appears on the August 30 Primary Ballot. Amendments 1, 2, 3, and 5 appear on the November 8 General Election Ballot. ​NOTE: Voters will decide on November 8 whether to retain three FL Supreme Court justices. This guide includes biographies of the judges, descriptions of key cases the Florida Supreme Court has heard in recent years, and a FAQ section. Judicial Candidates Voluntary Self-Disclosure Statements are available on the Florida Bar website for the candidates running for Lake County Judge Group 2. The Florida LWV's document about Florida's Judiciary covers information relevant to the retention of the three Florida Supreme Court Justices, who are appearing on the ballot. ​Last revised: April 2, 2019 9:12 PM EST. Last revision to links: April 2, 2019 9:12 PM EST. © Copyright League of Women Voters of The Villages/Tri-County Area, Florida. All rights reserved.